The REALiS WUX500 Pro AV Compact Installation LCOS Projector delivers high performance WUXGA (1920 x 1200) resolution with 5000 lumens of brightness and up to a 2000:1 contrast ratio. These features combined with an advanced Genuine Canon projection lens and Canon's proprietary LCOS technology with AISYS-enhancement helps to produce crisp, bright images with exceptional color reproduction. 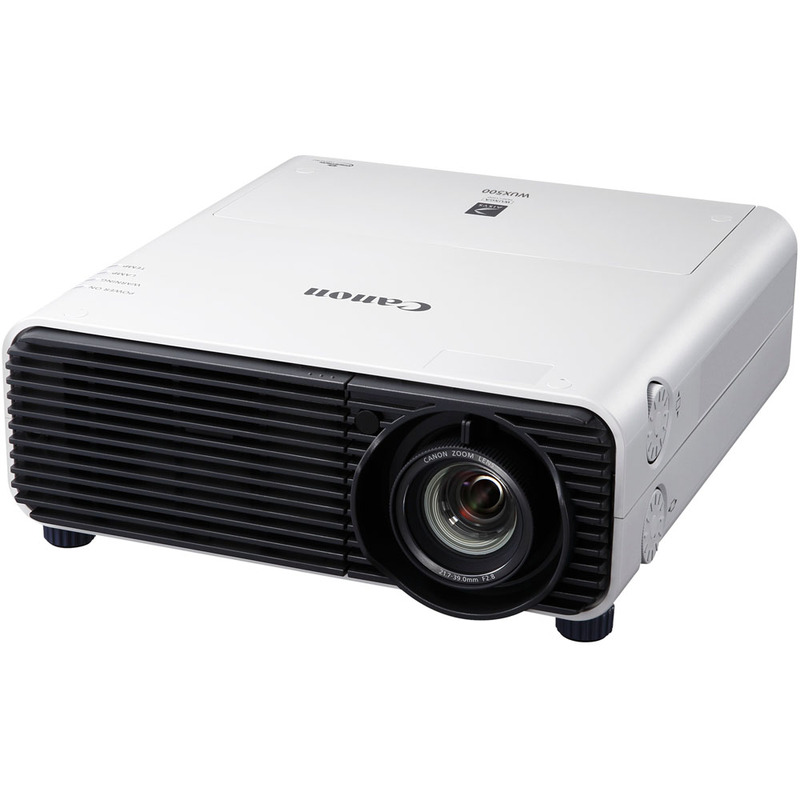 The advanced optical system on the WUX5000 allows the projector to virtually maintain a constant level of brightness throughout its 1.8x zoom range – a unique feature that provides both flexible projector placement and value by eliminating the need to over-specify a higher lumen projector for longer throw applications. The WUX500 is HDBaseT compatible and is equipped with many leading industry interfaces including HDMI, DVI-I, USB, RJ-45, and RS-232C.